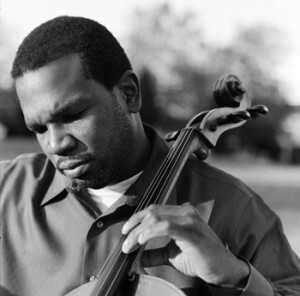 Paul Rucker is a visual artist, composer, and musician who often combines media, integrating live performance, sound, original compositions, and visual art. His work is the product of a rich interactive process, through which he investigates community impacts, human rights issues, historical research, and basic human emotions surrounding particular subject matter. Much of his current work focuses on the Prison Industrial Complex and the many issues accompanying incarceration in its relationship to slavery. He has presented performances and visual art exhibitions across the country and has collaborated with educational institutions to address the issue of mass incarceration. Presentations have taken place in schools, active prisons and also inactive prisons such as Alcatraz. “Best Artist 2015”, Baltimore City Paper “Best Solo Show 2015”, Huffington Post, Artnet News, Washington Post, The Root, and Real News Network. Exhibitions of his work include opportunities for community interaction and dialogue around these issues, via workshops, artist talks, and community dinners with facilitated conversation. He is a 2012 Creative Capital Grantee in visual art as well as a 2014 MAP Grantee for performance. In 2015 he was awarded a Joan Mitchell Painters & Sculptors Grant.